Amphetamine information. We do not want to preach about the dangers of drug abuse, but would like you to know the effects that amphetamines and other drugs can have on you. Street names: Speed, Whizz, Billy and Sulph. The most common form of illegally obtained amphetamine is a white powder called Amphetamine Sulphate. This powder is usually of varying strength, between 3% and 6% in purity, and is snorted, eaten, rubbed on the gums, or injected intravenously. Another type of amphetamine, called "Base" can also be obtained illegally and has a much purer consistency - and is therefore much stronger. A type of amphetamine called "ice" or "ice-cream" is also manufactured. This form is smoked and is said to be more addictive than "crack". The "high" experienced when using this form is said to last longer, and may last for up to 39 hours, whereas the "high" experienced from amphetamine sulphate lasts up to 4 hours. Amphetamines were developed as a medication for asthma sufferers as they help to dilate the bronchi in the lungs. However, it was discovered very quickly that amphetamines also "speed" up all body functions, making the heart beat faster and trigger a release of adrenaline into the system. This was noticed as far back as the 1930's, and widespread abuse of the drug began during the depression years. Amphetamines were given to soldiers in World War II, probably to help them keep awake. The abuse of the drug continued into the 60's and the drug is still very popular today. People under the influence of this drug report an increase in energy, cheerfulness and confidence. The drug reduces the need for sleep and suppresses the appetite. The pupils of the eyes usually dilate and the skin becomes very sensitive - a tingling sensation is reported when a user is touched. This is replaced by intense depression, lethargy and irritability when the effects of the drug wear off. Amphetamine users report a need to use more and more of the drug to obtain the same effect for every successive "high", and this places an extra burden on the body and may cause delusions, hallucinations and paranoia, which may develop into full-blown paranoid psychosis. 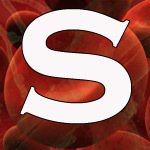 Blood pressure rises alarmingly during use of the drug and heart failure and blood vessel damage may occur. The risk of this occurring is extremely high during strenuous physical activity (like dancing at a rave). 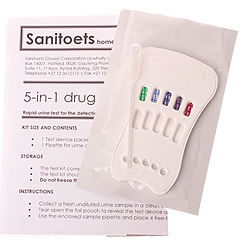 A simple urine test sold by us can detect the presence of amphetamines and to view this test kit, please click here.